When it comes to cultural visit, we are what is called “Museum Geeks”. We always like to use some kind of digital tools, whether it’s our phones or a tablet. Museums and monuments are using more and more apps, touchscreens inside the exhibition rooms, 3D visits, 360° pictures and iPads as audioguides. Some people would think it distracts you from your visit but we think on the contrary they are great tools for learning and enjoying your visit on a more playful note. 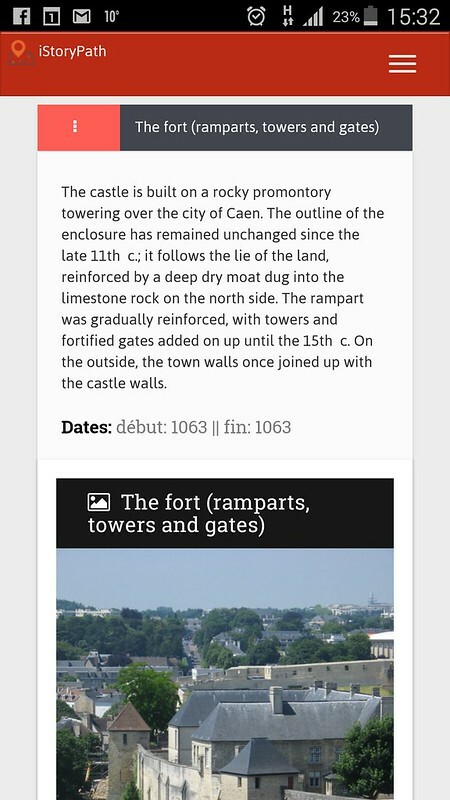 I discovered iStoryPath a few weeks ago during a conference in Saint Raphaël and the lovely team at Soyhuce, who designed the app, made themselves available to introduce us to the app in the Museum of Normandy in Caen Castle last week. We have used quite a few apps and digital devices in museums and monuments in the past, but this one really is a game changer. iStoryPath is an app that allows you to create and follow an interactive guided tour on your phone. It is available on site only, it cannot be downloaded in the Appstore or Google play. Which is great because we all have so many apps anyway, it takes a lot of space on your phone just to download an app that you’ll only use once anyway right ? 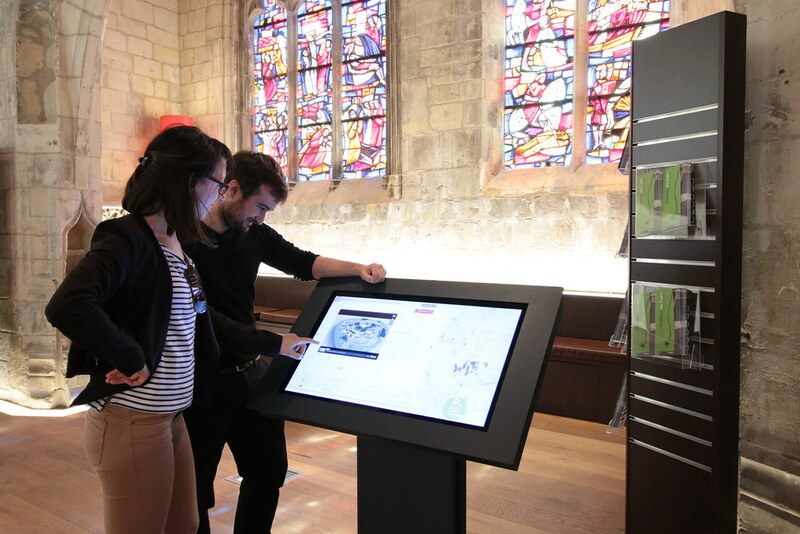 In Caen castle, inside Saint George chapel which is the ticket office, you’ll find a touchscreen table from which you will create your interactive tour. In order to do so you need to scan the QR code which will open a Web page : not another app taking space on your phone and big economy on the battery. The touchscreen table is where you start. 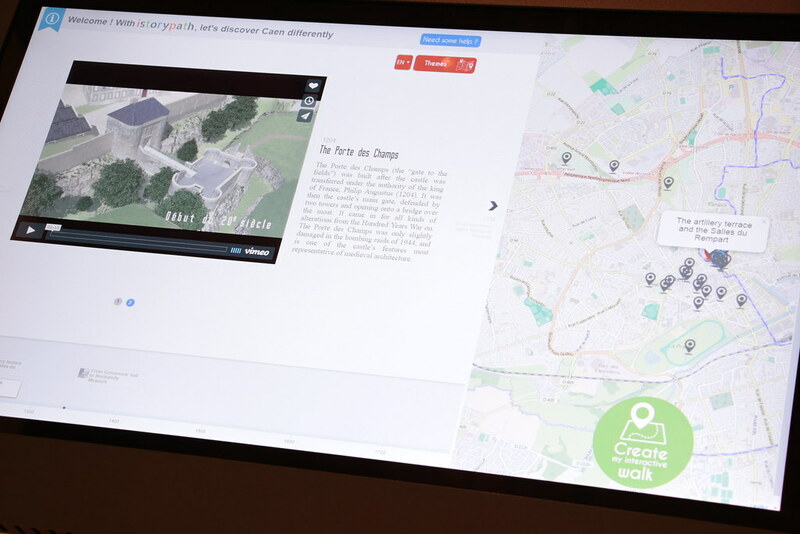 3 key medias will guide you through your visit : written and visual content that give you informations about a specific point of interest, an interactive map pinpointing the sights and a historical timeline displaying the main historical events. All three work really well together and are complementary. Then, and this is where it gets interesting : you create your interactive walk. You can follow a themed tour or you can create your own by choosing your points of interest. 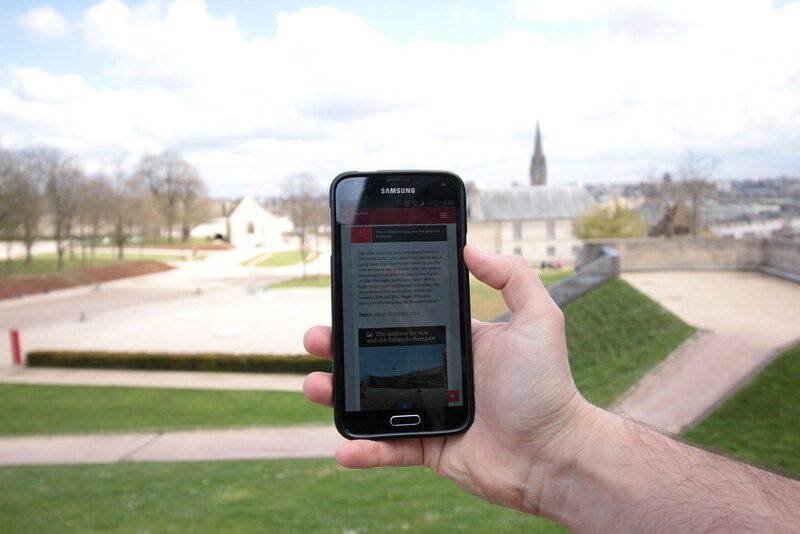 Once you’ve finished creating your tour, it generates the route on your phone and you’re ready to go. Whenever you are near a point of interest, you can check the app and learn more about what you see. Don’t forget to turn your GPS on. We chose to walk around the castle and check the 14ish points of interests listed in the walk. 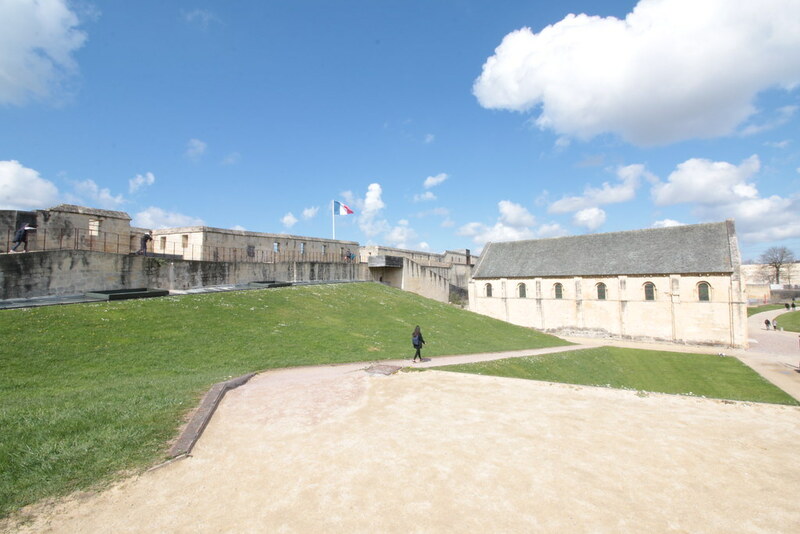 The donjon, the gardens, the walls, the fortress, etc. The geolocation was working perfectly and we could get around easily. One thing that is really useful is that the interactive walk is almost in real time, which means you are geolocated but it’s updated every 2 mins this way the app doesn’t use much battery and it still works perfectly. iStoryPath is fun, easy to use and one of the most qualitative cultural app I have used. I like that you can follow a themed walk or do whatever you want. You are in charge of your own visit, you don’t follow a guide. You access the content whenever you want to access it. It definitely is a great way to visit a site at your own pace ! Oh, and did I say it is free ? Now you know what to do next time you visit the city of Caen ! Ever been to Caen before ? What did you visit ? Tell us in the comments below !